It’s funny how you remember things so wrong sometimes. I would have sworn the two silver trays were huge, when in fact they are about 12” across. But what really matters is I now have them and they will be ours forever. The case for UPS however is not looking so good. Not only did they deliver my package to the wrong (nonexistent) address, but they also left it just inside the gate with the “Beware of dog” sign on it, only 10 feet from the street. So any passerby could easily have taken it. Just as she said she would, the woman called this morning and left a message when her husband returned from West Virginia with my box in the back seat of his truck. So I immediately went up the street to claim it. There was no conscious wrongdoing in the whole saga. Maybe some negligence on the part of UPS, but no intentional mistakes. The elderly friend of my mother in Florida had addressed the box incorrectly. It had gotten delivered despite the fact that it bore a nonexistent address. The recipients hadn’t opened it, but had instead left it in the back of their truck for some purpose I don’t understand. But all is now well. I have two fairly shiny small silver-plated trays. One bears the engraving “Bay Co. Fair 1967”. One tray can go to each of my children. Some day maybe they will tell their children how the trays came to be and how they almost left our family permanently. This is a case where sentimental value trumps actual value. But as it turns out, sentimental value sometimes counts for a lot. When I was growing up, I sewed. I made doll clothes, my clothes, my father’s shirts, and whatever anyone commissioned me to make. About the time I turned 12, I started entering things I had made in the “homemaking” category at the county fair. I made some money (not a whole lot at $3 for a first place) and collected a lot of ribbons. Two years I managed to take the top honors, receiving a silver (plated) tray for each of those years. When I was cleaning out the house after my father’s death, I found the old trays which were entirely blackened with tarnish. They were so hopeless looking I decided to donate them to my parents’ church, which often catered wedding receptions. I’ve thought about those trays every fall when it was time for the county fair and wondered whether they were an important part of my history that deserved to be passed down to future generations. I finally contacted the church to see if they were still around. They referred me to an old friend of my mother’s who managed to located both trays in some distant closet. I offered to make a donation in exchange for their return. About two weeks ago, my mother’s friend let me know they were ready to go in the mail. I waited patiently, but no package came. Finally yesterday I emaled her to request a tracking number. She checked with UPS and found they had supposedly been delivered 8 days ago, but apparently not to my house. Or perhaps someone could have taken them off our front stoop. Upon further inquiry, it turns out she had sent the package to 5616 instead of 5816 Dawes Avenue. But that was just the beginning of my problems. My husband, upon learning about the address problem, called me at my piano teacher’s house to say he would go down the street and retrieve the package. But it turned out there was no 5616 on our street. So was it 5614 or 5616 Doris or 5616 Colfax? Or had the UPS delivery person, who is at our house every week, figured out the problem and actually delivered it to our house from which it had been stolen? Too many possibilities, but no trays to be found anywhere. I looked on Google maps and found 5616 Dawes, right at about the place that was actually 5614. I drove by there on my way home, to find a sign on the fence that said “Beware of dog”. Upon not seeing any monster dog, I let myself in and rang the doorbell. No one answered the door, but the barks behind it were indeed ferocious. I still had a feeling that the package could have been delivered there because there was no street number displayed. I called UPS to see if they could shed any light on the matter. They were quick to tell me the sender could file a claim and not too sympathetic to the fact that the contents were not replaceable at any price. They agreed to talk to the delivery person to see if she could remember delivering such a package 8 days ago. My next task was to discover the name of the family who lived at 5614. After many, many calls to neighbors, I came up with a name and a number. But when I called the number I reached a hotel, which claimed to have a different phone number. I got the Cox operator involved, who said the lines were crossed and only the 2 parties could resolve that problem. 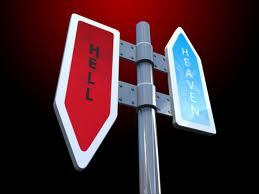 A few more calls informed me the family no longer had a land line and gave me the woman’s cell number. When I reached her, she immediately sounded relieved to know to whom the package they had been carrying around in the backseat of their car belonged. She just called me to say the package is on its way to West Virginia with her husband for the weekend, having remained in the back seat of the car. By Sunday afternoon, it should be back in town. She offered to drop it off on my doorstep. I declined saying I didn’t want to chance another mishap, asking instead for a call so I can go pick it up. Meanwhile UPS has failed to explain how they could deliver my package to a nonexistent address. Stay tuned until Sunday, when I hope to give you a photo of my “prize” silver trays! The past two evenings I have been in the presence of one of the most spiritual people I will probably ever encounter. 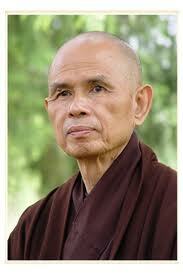 Thich Nhat Hanh, now 85 years old, shared his simple truths with Washington audiences. Last night was a lecture at the Warner Theater that required a ticket purchase. Tonight was a free lecture at the Library of Congress. Each evening began with a guided meditation, followed by a lecture periodically punctuated by the biggest bell I have ever seen. -- If you really love someone, you will give that person your full and undivided attention when you communicate. -- If you really love someone, you will be sympathetic to his suffering. You will be a good listener. -- Suffering is a necessary part of life. Without suffering, there would be no happiness and no compassion. I wish I could remember all the many things he said over the course of about 4 hours of speaking. While a few people around me were furiously writing in notebooks, I decided to just listen. Last night the person to my left was texting. The person to my right was reading her email on her phone and noisily eating an energy bar. It was all I could do to keep my mind from dwelling on these less than mindful activities. Tonight’s audience seemed to have much better manners, although I did hear at least one cell phone go off. Our teacher sat in the lotus position on the stage, surrounded by his entourage of monks and nuns all dressed in flowing brown robes. You could tell they highly revere him. Perhaps it was my imagination. But I felt like I had a somewhat more positive and contented attitude toward life today. These brief encounters with Thich Nhat Hanh will long be in my memory. No, I am not in Austria. This would be Vienna, Virginia. It was a great day for a bike ride. I keep trying to entice people to go on slow rides with me, but I finally just launched off on my own today because it was a perfect fall day. I got on the W&OD (Washington and Old Dominion) Trail in Dunn Loring and road out past Vienna for a total of about 10 miles. It's not terribly hilly and the bike path is wide and well maintained. Given it is a workday for most people, the path was not at all crowded. There were a few walkers and a few more bikers, but not a lot of little kids or crazy dogs. I reaffirmed that I love my bike. I'm sure it would like to go much faster, but my speed will never be fast. I hope the mild fall weather continues and I can get in a few more rides like this one before the cold weather comes again. Someone recently reminded me that I had never showed you the finished basement project. So today you get a tour of my workout space, which is now more like a pleasant room than a dank basement. The biggest change was the roller shades installed over the floor-to-ceiling open shelves. I painted the wood that you can see and pulled down all the shades to create an almost-wall of a very neutral color. The walls, including the cinder block wall, were then painted the same color. The room is now adequately lit by two sets of track lighting on dimmer switches. I can look up when lying on the floor and no longer be greeted by the two bare light bulbs hanging from the ceiling. The furnace is mostly hidden by a shoji screen, which my husband initially announced to be unbelievably ugly, but I like it a lot and it accomplishes exactly what I intended. For entertainment to take my mind off what I’m doing, I have all sorts of possibilities on a very large flat screen TV. With Apple TV, I can watch TV, movies, Netflix, or listen to music. Most of the time I seem to go back to the 92 oldies played in a shuffle format. I couldn't stand looking at all the cords hooked to the television, so I wrapped them in fabric that matches the color of the walls. It cost absolutely nothing and I no longer even think about what's inside. After the negative reaction to my idea of a blue sky with clouds overhead, I have resigned myself to looking at beams, pipes, and ducts. They are really not so bad now that the rest of the room looks so much better. My constant companion never seems to break a sweat as he lies on the floor while I do my daily workout. Although he makes it necessary to frequently vacuum the rug, I appreciate his company! I keep trying to entice friends and family to join me in the basement. It really can be fun now! It must be extremely difficult to write something that takes place in the distant future, in a society far different than the one in which we live. I have just finished The Orison of Sonmi-451, the 5th story in David Mitchell’s “Cloud Atlas”, set in a very different world indeed, and it was brilliant. 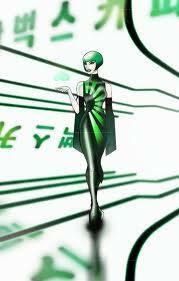 The story is told from the point of view of Sonmi-451, a clone who is awaiting execution for the crime of gaining intelligence. The story is set in what we know as Korea. In this society most of the menial jobs are done by genetically engineered clones, or fabricants as they are termed. They are created without human emotion or souls and relegated to serve the purebloods of society by a lifetime of working at places like “Papa Song’s” diner, which is obviously a takeoff on McDonalds with its golden arches. They are given limited knowledge, and know nothing of things like secrets or humor. Although Sonmi’s story itself is quite intriguing, the thing most interesting about this segment of the book is the creation of a language to represent life in futuristic Nea So Copros. Mitchell has made generic many of the words of our present society. All cars are called fords. Nikes are shoes. A rolex is a watch. Sonys are laptops. The verb sony means to call. Nikon is a verb meaning to take pictures. A hygiener is a toilet. Yellow-up is the equivalent of dawn in a world below ground. A sunpole is a streetlight. A city is a conurb. In order to understand this story, it was necessary to learn a new language, one vaguely built on English with some new words thrown in for things we have never named. At first it was a little maddening. But as the story progressed, my mind opened up to the possibility of new language. I love books that stretch one’s imagination, that make us think in a slightly different way. I experienced the same thing when reading The Magus years and years ago. My son is reading Cloud Atlas as I read it. We check in daily to compare notes and to talk about the subtleties of the book. He and I both agree the book may not be everyone’s cup of tea, but we both are thoroughly enjoying the read. One of my friends from childhood was diagnosed with lung cancer last year. We were all hopeful that new medications and chemotherapy could keep her disease at bay for a long time. But it has recently gotten much worse and she seems to be slipping away. This was the person we visited last winter when I turned out to be getting so sick. It is somewhat miraculous that she didn’t catch the awful germs I was spreading. At that point, she looked like nothing was wrong. She was as beautiful as ever, even as she turned 61 on the Ides of March. We were delighted to hear that she and her partner of probably 15 or 20 years decided to get married a week ago. It was sweet to know that they officially declared their love for each other. It has always been obvious how much they adore each other. What do you get for someone who can’t really go out much any more and who isn’t finding food very appetizing? One of our gang proposed flowers. And then the question was what type? That was easy for me. Daisies, of course. When we were in high school, we formed a club for those who hadn’t succumbed to the desires of the flesh. 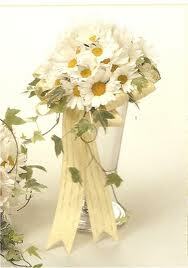 Our symbol was a white daisy, of which each of us wore a little felt flower inside our graduation robe. A bit hokey, but something we could always look back on and laugh about. So I think our friend will soon be getting a big arrangement of daisies. Hopefully they will lend some cheer to what must be some very dark days. This could easily be any one of us. After all, life is like a lottery and sometimes our number is up. We will cherish our visit earlier this year and send our heartfelt wishes for ease and gentleness. It’s hard to know what more one can do. What is it about gluten that has all of a sudden caused many people I know to drop a large part of their diet? Food like wheat, barley, rye, even spelt have been around for thousands of years, providing nourishment to humans in their various forms. 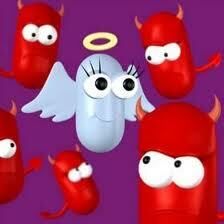 But they seem to be getting the blame for all sorts of ailments. My husband’s physical therapist just yesterday suggested that he might want to consult a nutritionist about some ongoing problems he has. Her personal experience was that eliminating gluten from her diet had caused her asthma and hip pain to go away. Another friend’s husband went gluten-free and suddenly his energy returned, making him feel younger than he had in years. Just tonight I had dinner with my friend who is an acupuncturist. She has determined to try a gluten-free diet for the next year to try to eliminate gas she experiences after eating bread products. The people who have succeeded in feeling better hold up GLUTEN-FREE almost as if it was a religion. They are committed and seldom cheat because cheating brings back the symptoms they were trying to shed. Realizing I could no longer make my now perfected 5-grain bread any longer, I went in search of a bread recipe that wouldn’t make me gag. I came up with Alison’s Gluten Free Bread recipe, which gets rave reviews from most of the 58 reviewers. It has ingredients like tapioca flour, garbanzo bean flour, white rice flour, and brown rice flour. I’m reserving judgment until I make it. 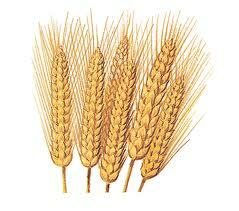 Most people associate gluten with wheat and wheat products. It turns out there are a whole lot of other things to avoid if you really go down this path. Take a look at this list and kiss all baked goods and pasta and pizza as you know it goodbye. My acupuncturist friend and I talked about why this phenomenon seems to be popping up all over. We wondered if genetically engineered grains were to blame. Or is our species just evolving away from gluten? If my husband decides to try it, I suppose I will go along for the ride. It will mostly affect the one piece of bread I eat for breakfast every day and an occasional serving of couscous in my diet. I will be curious to see if it makes any difference in the way I feel. My mother was an unfaltering believer. She cringed when at 12 I dared to question the veracity of the Bible. I’m sure she privately wept when I converted to Judaism. At some point after my marriage and my conversion, she managed to convey the fact that we wouldn’t be seeing each other in the afterlife and that was of great concern to her. I can’t remember if she came right out and said my conversion had damned me to eternal hell or what, but that seemed to be the gist of it. I can’t personally conceive of buying into that sort of dogma, but her church and her faith were her life. I can’t remember how or if I responded to her beliefs about our afterlife. I’m sure I didn’t laugh. But did I express anger or pity or any emotion at all? Recently seeing “A Bright New Boise” at the Woolly Mammoth has caused me to think about my parents’ beliefs and mine and how they intersected and mostly disconnected. I’m really glad I managed to escape the Deep South without a fundamentalist view to God and religion. I appreciate the compassion for humanity my mother passed down to me, but I much prefer my belief system (what littler there is of it) when it comes to religion. Maybe in our next lives we will change roles. My mother will come back as a liberal Jew and I will find Jesus and pray for the Rapture. Who ever knows? 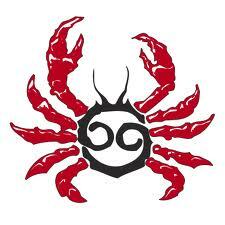 I have recently been immersed in cancer. A young woman in our Temple Micah congregation is suffering from a rare form of ovarian cancer. My childhood friend in Atlanta who has lung cancer has taken a turn for the worse. And I just finished The Emperor of All Maladies, Siddhartha Mukherjee’s tome on the history of cancer. I guess it only stands to reason that I might personally be suffering from an overactive imagination right now. Last night I started worrying about a sensation in my left side which I have been having for over a month when I bend over. I managed to convince myself it was some sort of tumor with which my ribs were colliding. I slept fitfully last night, imagining the worst. Today I’m feeling somewhat more rational. I reminded myself I recently had a physical and a colonoscopy, which both checked out perfectly well. I can’t feel any unusual lumps or bumps and I’m not in pain otherwise. Instead I think poor posture is to blame. My right glut muscle has never been strong since my hip surgery. Scoliosis tends to make me slouch toward the left. And it may be that a weakened ligament or my soaz muscle is to blame for the sensation that started me down this path of worry. 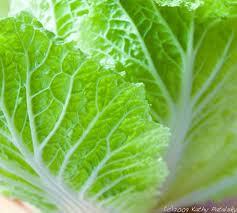 This week’s CSA share presented me with a beautiful little light green napa cabbage. By Wednesday I had decided to make Rustic Cabbage Soup (courtesy of Heidi Swanson), but I wanted to get an ingredient she recommended for the vegetable stock. Today my Rapunzel’s Herb Bouillon came via UPS (I love the 2-day delivery with free shipping through Amazon Prime). So I got to work making stock and then soup. I took every green thing in my produce drawer that wasn’t already spoken for and threw it in a pot. That would be carrot greens, celery leaves, and parsley. I added a large garlic clove cut into pieces, about 8 black peppercorns, and a cube of Rapunzel’s bouillon and let it cook for awhile. At the same time I cooked up some white beans. And while they both simmered on the stove, I did my workout in the basement. My turn to choose a book for our couples book club is coming up. There’s always a question as to whether to play it safe and recommend a book of around 300 pages that is universally praised or to go out on a limb, knowing there may be some rotten tomatoes thrown during the discussion. The last two books have been nonfiction -- The Good Soldiers and The Emperor of All Maladies. Both extremely well-written, but both rather depressing in their content: the war in Iraq and the war on cancer, grim and without victory in either case. I had toyed with recommending That Used to Be Us (Friedman) or Millennial Makeover (Winograd/Hais), which would continue the non-fiction difficult truth trend. And if not, I had thought of Loving Frank, the biography of Frank Lloyd Wright. It is historical fiction, with one of the most gruesome scenes at the end I have ever read. 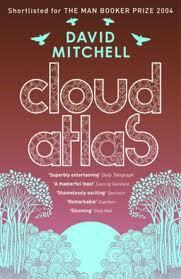 Then this week, my son strongly recommended the 2004 book Cloud Atlas by (British) David Mitchell. It’s a highly acclaimed novel that interweaves 6 stories over 1,000 years. Our book club policy is that you must have read the book to recommend it. So as I struggle to finish the 500+ page book on the history of cancer, I am also reading Cloud Atlas and liking what I have read. Hopefully people will give it a try and will get seduced by the author’s ability to tell a good story. In the worst case it will join The Charterhouse of Parma and She’s Come Undone as the worst books of our 14-year book club history. If you have read Cloud Atlas, please let me know what you thought of it. I have steadfastly refused to use hand sanitizers like Purell, insisting they take away good bacteria as well as bad and end up making germs more resilient. Today’s Post article would say I am right. My first encounter with Purell-mania was when we went on a cruise soon after the swine flu outbreak. There were Purell dispensers every 100 feet on that ship and people were practically bathing in it in the hope of remaining germ-free. I recently saw a young mother line up her 3 children upon entering a local store to clean their little hands. People have bought into this on a large scale, undoubtedly boosting the price of shares in the companies that make this stuff. But there on the front page of today’s Post is an article “Good bugs may be key to staying healthy.” It turns out a lot of things -- bacteria, viruses, fungi, and other microorganisms -- live on our skin with only one in 10 cells being human. All these things work together to maintain a healthy balance in our body’s function. Scientists are becoming convinced that when we interfere with that balance by things like diet, antibiotics, and obsession with cleanliness, we run the risk opening the door to all sorts of things we don’t want -- like allergies, obesity, asthma, diabetes, cancer, autoimmune diseases, and even autism. Think twice before squirting Purell onto your hands or taking unnecessary antibiotics. You could be asking for trouble! It always takes me a few days to bounce back from the intensity of the high holy days. It’s a time of deep reflection, where a lot of things of the past year get mulled around and sorted out. I have come to feel quite comfortable with the services, especially with the beautiful music, tunes and words passed down through the centuries, sung year after year around the world. Occasionally there is a prayer/song in English. At those times I can almost feel a palpable connection as the congregation hears words we all understand. It happened on Yom Kippur during the afternoon memorial service as our cantor sang “Tribute” (in English) and remembered the recent death of her mother. Her powerful emotions and the words of the song increased the intensity of the moment as the entire congregation empathized with her and thought about their own losses. Part of me wishes for a service in the language I speak that would then give words and music equal weight in my experience. But Judaism is so steeped in tradition, that will probably never happen. And if it did, it would only serve to distance us from Jews around the world. So instead my goal for next year is to make the leap of understanding that will enable me to really comprehend what I am singing as I pray the ancient Hebrew prayers. Perhaps I can organize classes for people like myself who long to have a deeper and even more meaningful experience. Perhaps I will find a knowledgable person to work with me one-on-one. Perhaps I will tackle only a small handful of prayers. But hopefully I will make some effort at understanding. At yesterday’s Yom Kippur service, we read a collection of short pieces during a silent meditation. I’m passing along this one in its entirety because it made a deep impression on me. Twenty years ago, I drove a cab for a living. 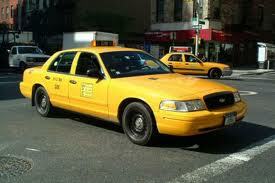 But I had seen too many impoverished people who depended on taxis as their only means of transportation. Unless a situation smelled of danger, I always sent to the door. This passenger might be someone who needs my assistance, I reasoned to myself. After a long pause, the door was opened. A small woman in her 80s stood before me. She was wearing a print dress and a pillbox hat with a veil pinned onto it like somebody out of a 1940s movie. By her side was small nylon suitcase. The apartment looked as if no one had lived in it for years. All the furniture was covered with sheets. “Would you carry my bag out to the car?” she asked. I took the suitcase to the cab, then returned to assist the woman. She took my arm and we walked slowly to the curb. For the next two hours, we drove through the city. She showed me the building where she had once worked as an elevator operator. We drove through the neighborhood where she and her husband had lived when they were newlyweds. She had me pull up in front of a furniture warehouse that had once been a ballroom where she had danced as a girl. Sometimes she would ask me to slow in front of a particular building or corner and would sit staring in the darkness, saying nothing. The woman was already seated in a wheelchair. “How much do I owe you?” she asked, reaching for her purse. “You gave an old woman a little moment of joy,” she said. I squeezed her hand, then walked into the dim morning light. We’re conditioned to think that our lives revolve around great moments. But great moments often catch us unaware -- beautifully wrapped in what others may consider a small one. People may not remember what you did, or what you said, but they will always remember how you made them feel. Life may not be the party we hoped for, but while we are here we might as well dance. Every morning when I open my eyes, I tell myself that it is special. Every day, every minutes, every breath is truly a gift from God. I have been reading “The Emperor of All Maladies” by Siddhartha Mukhergee, a book chronicling the history of cancer. The early attempts at a cure for various forms of cancer were truly barbaric, as were the first attempts at chemotherapy. I found myself feeling glad cancer research had progressed as far as it has. Then I went to services today and learned about the 28-year-old daughter of one of our congregants who has a rare form of ovarian cancer. There have been only 400 documented cases EVER of this type of cancer. It strikes young women, as young as 14 months old. It is extremely aggressive. There is only one survivor of the 400 people who have had it. I suddenly realized just how far we still have to go in coming up with a cure for the many variants of this awful disease. Going back 20 years, this girl was in my daughter’s 2/3 class. The mother of one of their classmates was diagnosed with an extremely virulent form of breast cancer. The girl came up with the idea of making 1,000 origami cranes for the woman, who is today a survivor. The woman, upon hearing about the girl’s recent diagnosis, bestowed upon her the 1,000 cranes. We at Temple Micah are working on a second thousand so that she can have cranes flying all over her parents’ house. In between afternoon prayers today I made about 10, finally mastering the many folds. I can’t even imagine a parent’s pain at learning such news about a child. Neither can I imagine the fear each family member has as the days tick away. We always said the 1,000 cranes helped the woman survive her battle with breast cancer. Maybe 2,000 cranes will help the girl beat what look to be very slim odds. I’ve always thought all that stuff about the chakras was a bunch of hooey. Somewhat interesting in a fanciful sort of way, but not practically applicable to my life. Yesterday’s yoga class was all about the second chakra. That’s the orange one that is seated in the pelvic area. My teacher ran down a checklist for an excessive second chakra. I didn’t identify with a single characteristic -- things like addiction and excessive drama. But then she started down the list of characteristics for a repressed second chakra and I found myself going CHECK, CHECK, CHECK. Things like loss of creativity, passion, sensuality. Then it hit me that’s where my hips and lower back reside. Those are the parts of me that struggle to work well, to keep me walking. It made sense. The class was all about hips. We tried multiple approaches to opening up these essential joints. We breathed deeply into tight places. 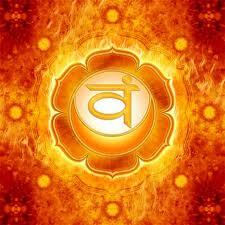 Next week we will move on to the solar plexus, the yellow chakra. I’m now curious to see what I will learn as we make our way slowly upward in this body that is such a complicated thing. I have recently realized something about myself that I don't like very much. Instead of taking the initiative to make plans with friends, I tend to wait for them to do the asking. It's not as though I don't enjoy myself when I'm with the various people I know. So why is it that I don't take the initiative? The end result is I seem to be staying home a lot more than I used to. The same thing is true with email. I faithfully answer messages sent to me, but I'm usually the respondant, not the original author. And with Blogging. Unless I am traveling, I am having a hard time coming up with things to write about. I haven't been good about responding to comments. And I seem to be reading other Blogs less and less. There was a time when I created a post and checked my entire Blogroll every day, actively commenting on much of what I read. I wonder what's behind my slide into introversion? I hope it's just a passing phase because I liked being more socially active and more connected with the people in my life.